Dalhousie women’s rugby team won the Maritime University Rugby Championships on Oct. 20, beating the UNB Varsity Reds 33-12. 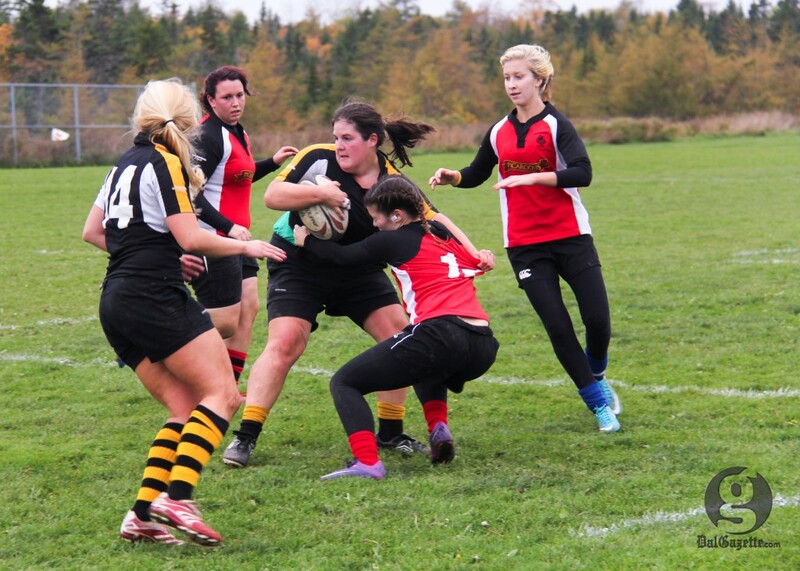 Leading the way for the Tigers were Christine Belisle and Alyssa Young with two tries each. Belisle, who is only a first-year athlete, credits the team’s success to their teamwork. Except for a season-opening loss to UNB, Dal had quick work of their opposition in the regular season. They beat Acadia twice and avenged their earlier defeat to the Varsity Reds to end their campaign with a combined scoreline of 106-20. Their victory in the championship was the icing on the cake. Dal’s kicker Hayley Atkinson completed four of five conversions in the championship game. She thinks the first-years will be committed to the team as long as they stay at Dal. Atkinson also credits the coaching staff, including their head coach since 2006, Nicole Baker, for much of their success. “Last year we only had two coaches and they did the best they could, but this year we had double that,” she says. When asked, the players and coaches were unaware of when was the last time the Tigers won the championship.